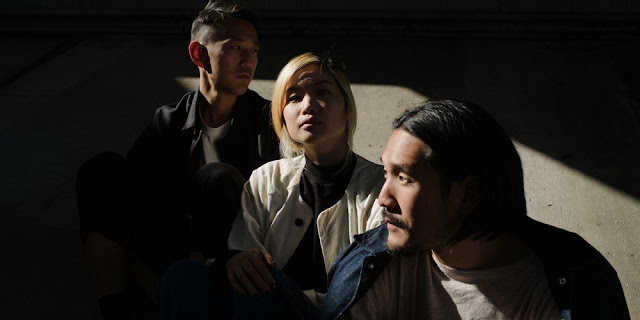 PennsylvAsia: Run River North at Club Cafe, May 15.
a group formed back in 2011 as a "conversation for immigrant family kids to talk about, or just to have some kind of space" to share their family histories, according to lead singer Alex Hwang. Not just an Asian-American band or a group that relies on a set sonic formula, the EP continues to expand upon the band's prior folk-leaning backbone. On lead single "Hands Up," the band is at their most bombastic. The result of a co-writing collaboration with Hannah Hooper and Christian Zucconi of Grouplove, the duo's first of such sessions "Hands Up" pairs an earworm-y chorus with a front-and-center guitar melody, a second voice among Hwang's lead bellow. Overall, the group utilizes more drum programming, dreamy synth, and dynamic production -- a more expansive sonic palette. Tickets for the 8:00 pm show are available online. Club Cafe is located at 56 S. 12th St. in the South Side (map).